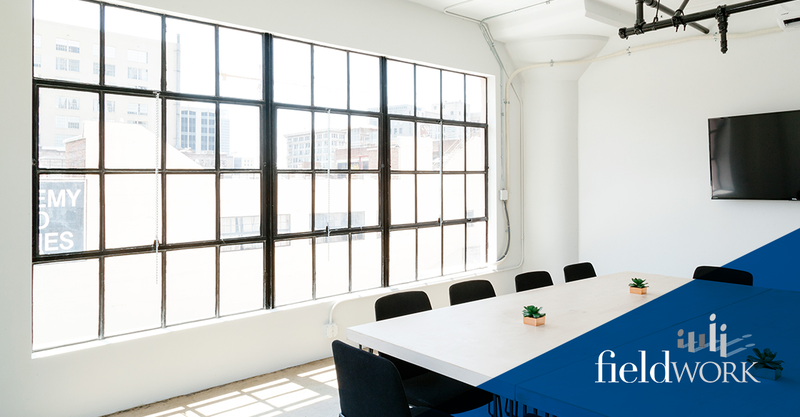 As a market research pro, there is little worse than planning a focus group, rehearsing the presentation/discussion prompts/questions and showing up to an empty room. After traveling all day, planning to be away from your family (missing the 5th grade talent show) and shuffling around other work responsibilities, it seems like a complete waste of time when your research participants don’t deliver. 1. Engage your focus group respondents. Calling potential candidates and casually mentioning the focus group and asking for their participation isn’t going to cut it. Our recruitment experts go the extra mile to really talk to the folks they are screening. 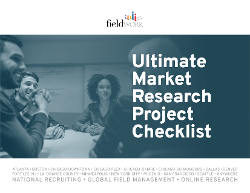 We emphasize how important the market research is and the integral nature that candidates play in the success of the project. We provide as much information as possible about the study and ask respondents questions that make them feel like more than a tally mark on a sheet. We strive to make them feel valued. A respondent who thinks he is significant will take the time to show up. Most respondents have never participated in a focus group study before. They have no idea what to expect. It’s our job as market research experts to educate them. Explain how the process works. If there is a product trial, indicate that they will be trying something new. One of the reasons respondents are no shows is that they are anxious about the experience. Reassure them by letting them know they aren’t being tested or judged. Reinforce how important their input is and explain how their opinions can impact the company or product. Additionally, any sane person is hesitant to expect something for nothing. With all of the scams that exist today, respondents need to be sure that the offer to become involved in the focus group is legitimate and legal. 3. Confirm various details with your focus group participants. One of the most prevalent reasons that you experience no shows is lack of confirmation and communication. Send follow-up emails and text messages reminding the respondent that the focus group is coming up. Provide a way that he or she can talk with you, in the event that they can’t attend. Our Fieldworkers implement a process that includes four different “touches.” After recruitment, another Fieldworker validates the respondent. Following validation, we send the candidate a confirmation email. Then, we verify their participation the day before a study. Part of this system also includes completion of pre-work applications and paperwork, so recruits hit the ground running the day of the study. By engaging in this communication with all respondents, you gain clearer expectations of the group you’ll be working with. 4. Provide clear directions to your facility. Nearly everyone has GPS these days, but that information isn’t always reliable. (Technology CAN fail, right?) Arrange for recruiters to give directions to the facility using navigational descriptions (north, south, east and west) and landmarks. Some respondents will follow details that indicate they should turn north at the stoplight, while others want to know you’re 2 blocks down from the library. The easier you make it for them to find the location, the more likely they are to show up. Additionally, if you make the directions sound difficult, some may be put off by the idea of traveling to your office and will decline, immediately. 5. Ensure easy access to the building. Respondents should be able to easily recognize they've arrived at the right place and know where to enter. Offer convenient parking access and clear signage. The stand-by tradition of offering food for a successful meeting still holds true. Respondents should know that refreshments and snacks will be available, should they want them. That’s just standard customer service and hospitality. However, most focus group studies offer a little more than just a cupcake and a bottle of water. Gift cards, merchandise or tickets to an activity are often incentives for spending an hour or two (or, maybe an entire morning) with a company participating in a focus group. Even though you don’t want the incentive to be the only reason that a participant attends your event, you should realize that it will encourage them to make time in their schedules. Additionally, an incentive that respondents find desirable makes them feel, even more, that you value their input, making it more likely that they will show up. 7. Avoid holidays and other busy times. The days leading up and following holidays are usually hectic for anyone. You’re either trying to arrange travel schedules, buy food for family dinners or fulfill a gift list for loved ones. Afterward, there’s laundry and clean up to tend to. (Or, you have to catch up for being away from the office.) Your focus group respondents are busy, too, with the same concerns. Planning a focus group activity for a time period right around the holidays will earn you a lot of no shows. Attempt to match your group times with target respondents' schedules. For example, evening times might work best for full-time executives, late afternoons pair well for kids and flexible IDI spots match best for doctors and other healthcare experts.